Italian Lakes holidays bring you the best of this wonderful country, including crystal clear waters, vibrant local towns, and spectacular landscapes. Italy is known for its beautiful architecture and nature, and a trip to the Italian Lakes is a fantastic way to discover everything the country has to offer. Couples will love spending days on the water or relaxing on the beach, immersing themselves in the history and culture of the towns, or trying famously delicious Italian fare. Families will find activities such as horse riding, watersports, and mountain biking, while explorers will find lots to be discovered as well. When choosing the best of the Italian Lakes for your holiday, you won’t be short of options. 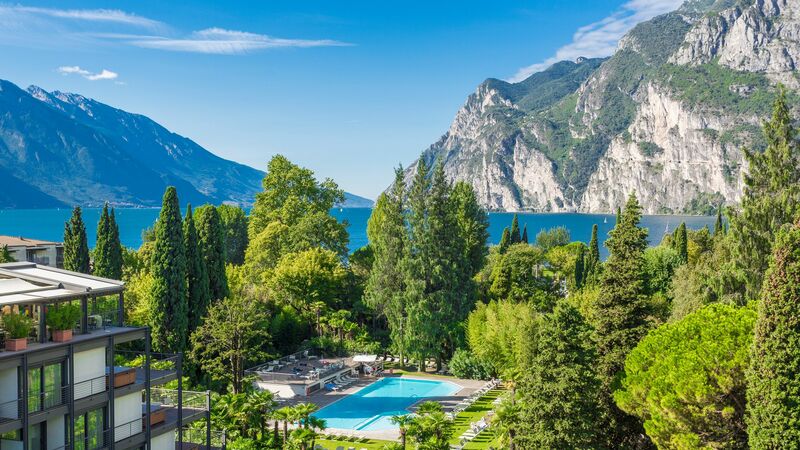 Lake Garda is the largest and has a thriving town on the shores, as well as spa towns which are ideal for those wanting to fully unwind. 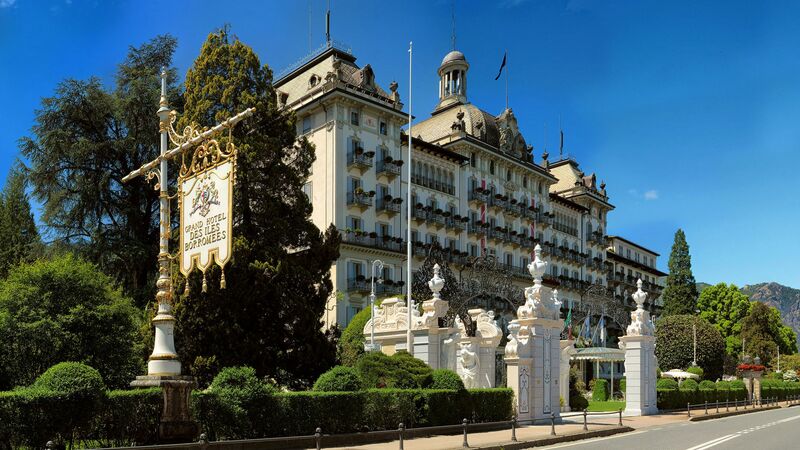 Lake Maggiore is ideal for history lovers, with palaces and islands to explore, while Lake Como is a celebrity hotspot with opulent towns dotted along its shores. 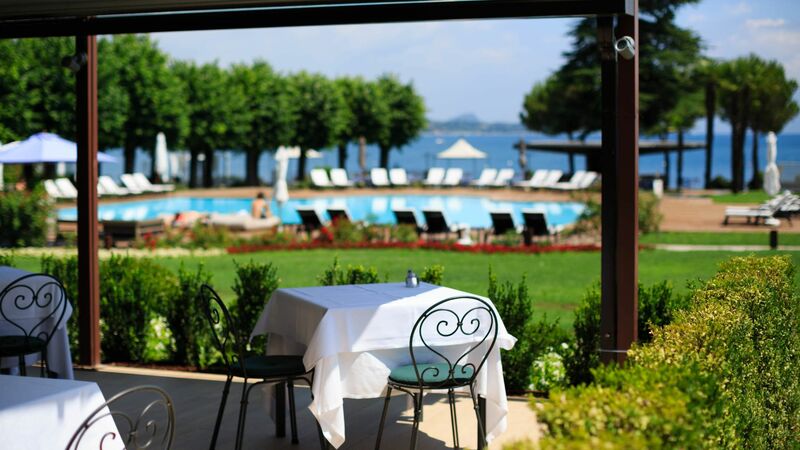 Holidays in the Italian Lakes are becoming increasingly popular for the rich and famous. Spend days sailing on the lakes and soaking up the sun before heading to Michelin starred restaurants for an exquisite menu of freshwater fish and succulent local produce. Glamorous boutiques and designer shops are dotted throughout the towns, where you can pick up trinkets and fashionable Italian goods. And for the ultimate relaxing break, head to one of the many spas where you can choose from extensive treatments. Choose Sovereign for your luxury holiday in the Italian Lakes and we’ll take care of everything, so you can simply unwind. 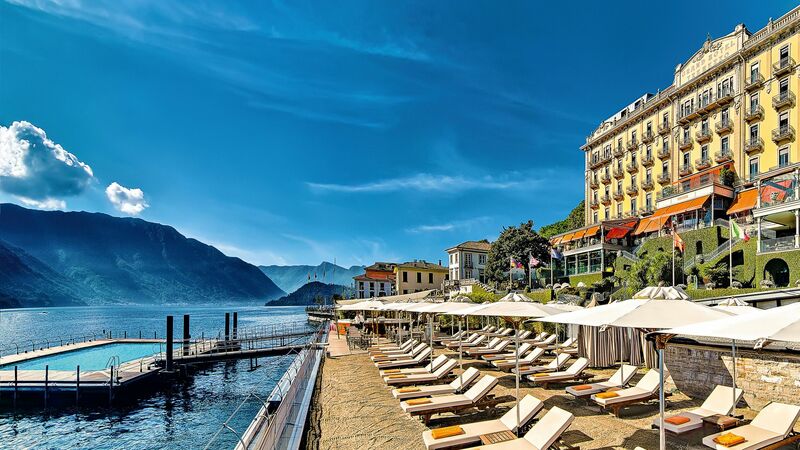 Stay at the Grand Hotel Tremezzo for historic architecture and landscaped gardens leading down to Lake Como. 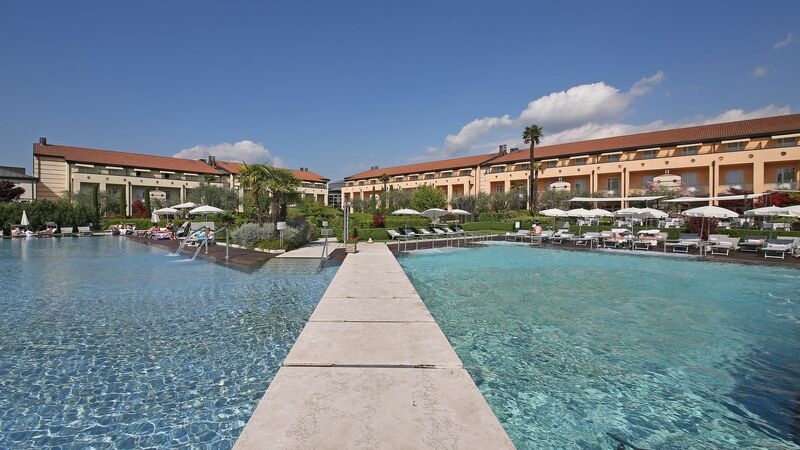 The Hotel Caesius Thermae & SPA Resort is perfect for those wanting to fully relax in tranquil surroundings, while Villa e Palazzo Aminta Hotel Beauty & Spa offers beautiful views and spacious, elegant guest rooms. Chic Lake Como fills a glacial valley in northern Italy. The southern shores are home to medieval masterpieces like Como, while in the north, villages climb into the foothills of the Alps. Lake Garda is the largest lake in Italy, serving up resort towns and mountain-backed villages along its sun-warmed shores. The southern tip is just an hour’s drive away from Verona. Lake Maggiore, in northern Italy, went from a fishing lake to a royal retreat in the 1800s. Down-to-earth villages brush shoulders with lavish villas, plus there’s the stately Borromean Islands. 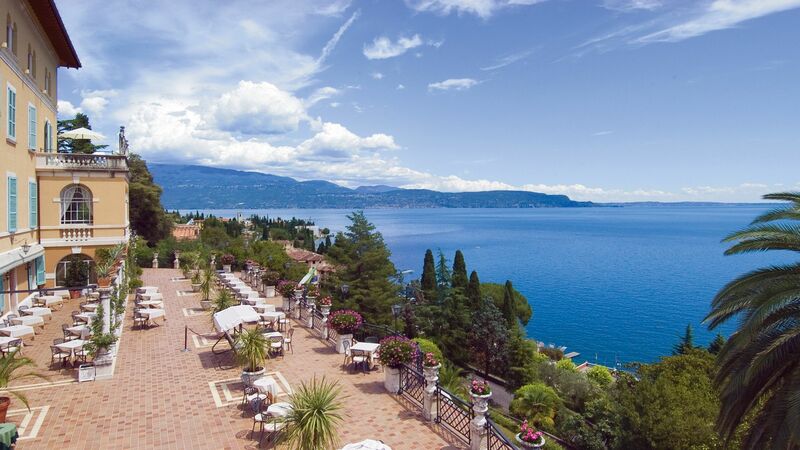 The shores of the Italian Lakes are dotted with grand villas and elaborate gardens. Don an elegant outfit and spend an afternoon ambling through the art-filled rooms and fountain-dotted rose gardens. Our favourites include Villa Carlotta on Lake Como, Isola del Garda on Lake Garda, and the lavish Palazzo Borromeo on Lake Maggiore’s Isola Bella (look out for the white peacocks that roam about the terraced gardens). Flights to the Italian Lakes take around 2 hours from the UK. For Lake Como and Lake Maggiore, Milan is the closest option; for Lake Garda, it's Verona. The Italian Lakes are at their best between April and October. June, July and August see temperatures soar to the high 20s (perfect for swimming and sunbathing), while the slightly cooler temperatures in April, May, September and October are ideal for those who want to spend a bit more time walking, cycling or sightseeing. As you might expect, freshwater fish is a staple in these parts – look out for just-caught trout, lavarello and perch. There’s also plenty of pasta and risotto to be tried, plus regional delicacies like Ossola Mortadella, Bardolino olives and Bettelmatt cheese. Vineyards stripe the hills and countryside around the lakes; keep an eye out for Rosso di Valtellina in Lake Como and Bardolino reds in Lake Garda. You’re also close to the heart of Italy’s sparkling wine country – both Prosecco and Franciacorta are produced nearby. Is it possible to see more than one of the Italian lakes? Definitely. Renting a car is the ideal way to get around. Driving around the lakes is a real pleasure, with plenty of picturesque views, ornate gardens, and grand villas to stop and explore. A car will also allow you to visit some great nearby towns and cities as well: Verona, Bergamo, Brescia and Mantua are all within driving distance.